The Bier Series has been an on-going collaboration between photographer Brett Rubin and fashion designer / illustrator Cameron Foden since 2009. 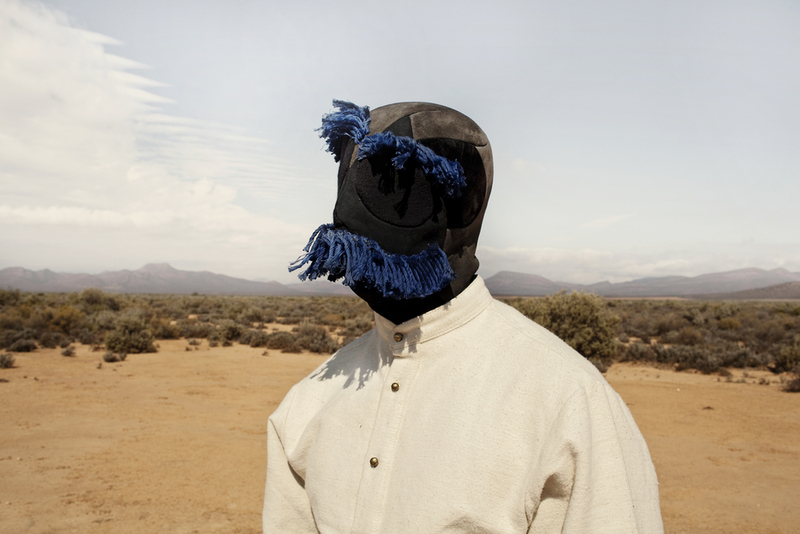 Taking its name from the burial stand on which a body or coffin is placed before the grave, and informed by the costumes and locations of the Boer War, the disquieting images of vistas and bodies examine how the ghosts of South Africa’s colonial past continue to influence contemporary culture. “While complex and ingrained across the sands of time, the process of properly contextualising and understanding this dark chapter in our history is a significant challenge that continues to haunt the progress of our post-democratic society,” says Rubin.